Congratulations! You've gotten an offer accepted on a home, your financing is approved, and you're just weeks away from closing. Nothing can stop you from moving into your dream home... or so you think. 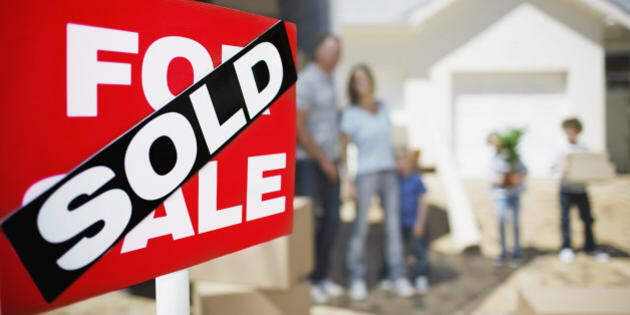 Here are a few rookie mistakes that can complicate your closing process, especially given how competitive Vancouver real estate can be. Sitting on paperwork- I realize many people find paperwork boring, but when your mortgage broker requests copies of your tax returns or pay stubs or extra documentation on that rental property you own, please make that a priority. If you're going to be away without phone or email, tell your broker in advance and get him or her all the requested paperwork before you go. Instructions for funding are not sent to the solicitor until all the conditions are satisfied. Some lenders take about 48 hours each time you submit a new document and want all the conditions satisfied five to seven days prior to the completion date. If you procrastinate on sending important paperwork, it could postpone your closing date and even impact your interest rate. If your approval expires on a certain date and you don't close within that timeframe, you may be subject to higher rates. And if you are getting a promo rate because your mortgage is a quick close, changing the closing date can also mean a higher rate. Charging big-ticket items for your new home- Sometimes first-time buyers get excited about decorating their new house or condo and they'll go on a spending spree picking out new appliances and furniture before they even close. If you're putting all these purchases on a credit card, that could be a problem, because it boosts your credit utilization ratio. Your lender approved you based on the utilization ratio you had previously, so charging up a storm could raise some eyebrows. Best to wait until after closing. In the meantime, you can always indulge your decorator dreams with a Pinterest board or a swipe file of magazine photos. Switching jobs- If you're getting a promotion or a new job within the same company, that's one thing. But switching to a completely new company could make your lender nervous, because they like to see a history of steady employment with one employer. Even if you'll make more money in your new job and you're prepared to show a new employment letter and pay stubs, it's still a bit of an unknown for your lender. Leaving your job to become an entrepreneur could be even more anxiety-inducing for lenders, because you don't have a track record yet. Try to wait until after closing to leave your current job. Applying for new credit lines- Lenders review your credit report as part of the underwriting process, and they may check it again just before closing, so try to maintain the status quo. Applying for new credit lines such as auto loans, credit cards, or personal loans will temporarily lower your score, so try to avoid this until after closing. Then you can open that credit card or take out that car loan. 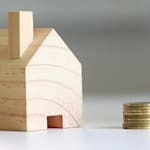 Depleting your savings- Your lender approved you based on the assets you had when you originally applied for the mortgage, and if a lender is giving an exception on debt ratios based on liquid assets, they may want confirmation that you still have those assets. Otherwise, make sure you don't spend the money you've earmarked for a down payment and closing costs. If you want to make a sizeable donation to your favourite charity, pay cash for a new car, or move money around to other accounts, do so after closing to avoid eleventh-hour issues. The bottom line? Try to keep your job and finances consistent with what they were when you originally applied for the mortgage. Last-minute surprises or missing paperwork could turn your closing day from an existing milestone to a stressful one.